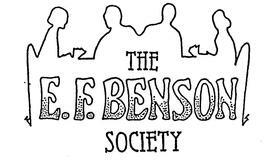 To join the E. F. Benson Society send a cheque for the appropriate amount made payable to “The E F Benson Society” to the Secretary at the address above. £20 (all post is sent Air Mail). You may also use PayPal to pay your subscription, using the Society’s e-mail address: info@efbensonsociety.org Please use this if you are outside the UK, it is much easier for you. If you use this facility, please also advise the Society by e-mail of your joining details, ie Name, address, e-mail address, etc. for our records and to enable us to add your details to our membership list. Unfortunately we are unable to accept Debit or Credit Cards, but Sterling cheques are of course accepted. Because of bank charges we are unable to accept Dollar or Euro cheques, please use PayPal as above. If you have any queries, then do contact the Society either e-mail or telephone.